This week in history as reported by the Summit County Journal 100 years ago, the week of Dec. 14-18, 1915. 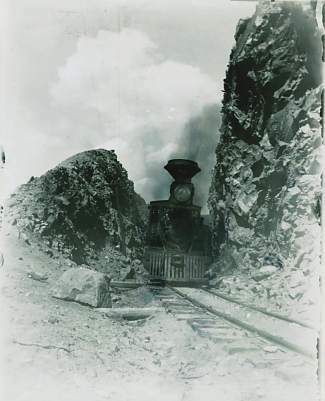 Montezuma, one of Colorado’s oldest mining camps and a historic Summit County district, was nearly swept from the face of the earth by fire. One side of the principal street is a blackened ruin as a result, many old buildings, about which there are twined fond memories, being victims of the flames. The fire started in the kitchen of the Black hotel, presumably from the chimney. A stiff wind was blowing and nothing could be done to check the flames, which attacked the dry wooden structures with relish, and their work was rapid and complete. The hotel and contents were entirely destroyed. None of the roomers succeeded in saving a single article. Gran Kirts, aged 49 years, for 24 years a well known and highly esteemed Breckenridge man, died Tuesday last at the home of his brother John, at Forgan, Oklahoma where with his wife and he had been for the past several weeks in the hope that a change in climate would improve his health. For many years he had been a sufferer from rheumatism, which with associated ills was the cause of death. The body will reach here this afternoon and the funeral will be held tomorrow afternoon from G.A.R. hall at 2 o’clock and will be conducted by the Woodmen of the World of which he had been a member for years. William Allen swore out a complaint Tuesday, charging George Quessey and his wife Annie with assault, which he alleges was committed on him by the husband and wife Sunday evening last. Owing it to the absence of Judge Blair and the illness of Judge Peabody, the trial of the accused has not taken place. The difficulties between the Quesseys and Allen are said to have arisen over complaints by Allen relative to the treatment of a burro owned by Quessey. A picturesque and withal, rather sensational raid of the redlight district of Leadville was made early Tuesday morning by District Attorney Whatley of Breckenridge. At the head of ten deputies, four of whom were Breckenridge men, Whatley and Deputy District Attorney Bond of Leadville, suddenly forced their way through the locked doors of the Pioneer, Jackson and Martinelli saloons on State street. Divided into three parties, the raiders entered the three places simultaneously and made sixteen arrests, four being women who were found in quarters over the saloons. Those saloons were taken entirely by surprise. No intimation of the raid had gone forth, even the police department and sheriff’s office being unaware of the plan and knew nothing about it until it was over. Gambling it is said was in progress and considerable paraphernalia was confiscated by Whatley and his deputies. Christmas decorations are quite in evidence at many of the local stores and some attractive stocks are on display, notably at the Evans store, the Gift Shop, the Owens Furniture Co. and the Rogers Furniture company. For a Christmas gift, see Westerman, the photographer, about one of those 1916 calendars with local views.